Safer driving habits don’t just start with your teen driver – it’s a group effort requiring support from family, friends, and community. Get Real Behind the Wheel believes that promoting both parent and teen accountability creates safer driving conditions for all. Get Real Behind the Wheel is proud to be pioneers when it comes to getting community and parents involved early in their teenagers driving. 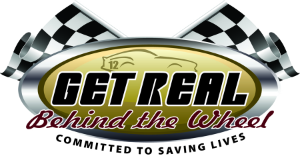 Get Real Behind the Wheel was founded through heartbreak, and is dedicated to keeping teens safe on the road, and keeping parents free from the pain of losing a child. Our story starts on January 27, 2007 when Ken Ucci and his family suffered the loss of a lifetime. Ken’s 17-year-old son, Michael, was killed when the car he was riding in slammed into a light pole in front of his high school. The young man driving the car lost both legs and the other two passengers in the back seat, including Michael’s sister, were seriously injured and admitted into critical care. A grieving Ken saw a television broadcast about a man in Florida who had lost his wife and daughter in a car crash caused by a speeding teen. What Ken saw on television that day began a process of healing and forgiveness. The story touched Ken so deeply, he wanted to start a program in central California. 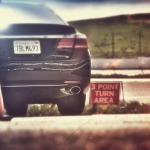 Ken joined forces in a campaign to bring awareness to teens about the dangers of speeding, and to educate parents about the importance of teaching their young drivers to be responsible behind the wheel and offer them opportunities to get involved in a positive way. 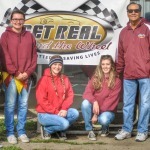 Many hours later, with the hard work and dedication of many volunteers and partners, Get Real Behind the Wheel was born and has since grown, providing parents with a winning strategy to turn the odds for their children’s safety on the roads back towards their favor.